Engage Partners was founded in 2008 with the goal of shaking up the boring and dusty recruitment practices that plague every sector. Over a decade later and we’re still at it — “recruitment” is no longer a dirty word for anyone who works with us. We’re the most trusted international recruitment agency, because we believe that happy and supported people do their best work. 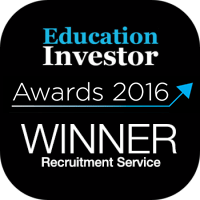 We don’t like to brag, but we’ve won tons of awards including ‘Recruitment Service of the Year’ from Education Investors (and not just the once! ), London Stock Exchange’s ‘Top Companies to Inspire Britain’, we’re on the Sunday Times’ Fast Track 100 and we have recently been listed as the 26th Best Company to work for in the East of England. We have UK offices in London, Watford, East Anglia and the East Midlands; and international offices in Australia, Canada and Ireland. We cover recruitment in Education and Construction, and we’re always looking for people to help us! Are you looking to start your career in recruitment? Our Graduate Training Programme is the perfect route to your new career in recruitment. 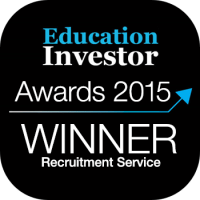 The Education side of our business helps secure teaching and support staff for our partner schools in the UK. We recruit the best teaching talent from the UK as well as from Australia, New Zealand, Ireland, Canada, the USA, the UAE and South Africa. At Engage Construction, we offer recruitment solutions to construction companies across the UK, from leading national groups to small, bespoke builders. We specialise in white collar recruitment from Trainee through to Director level positions. Interested in working at Engage Partners? We’re always on the lookout for the best recruitment talent and we’re really proud that Best Companies awarded us with ‘Outstanding Employee Engagement’ in 2019. Check out our careers page to find out more about our ethos, current vacancies and employee perks and benefits!